Martyn Obbard is a Research Scientist with the Ontario Ministry of Natural Resources and an Adjunct Professor at Trent University. 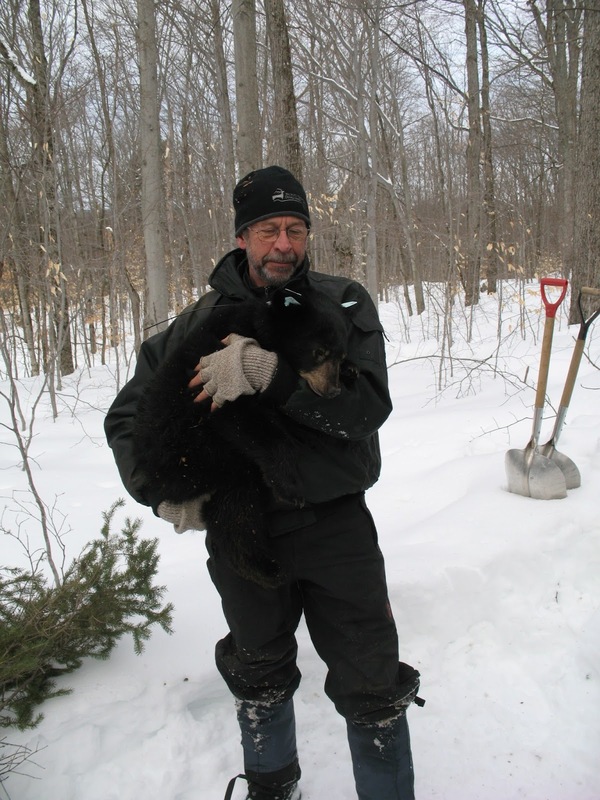 His work with the Wildlife Research and Development Section of the MNR includes research on both black bears and polar bears. Martyn lives near Peterborough, Ontario. 1. What does this year’s TEDxAlgonquinPark theme, Think Outside, mean to you? In general, it is a call to members of the public to include outdoor activities in such special places as Algonquin Park in their life experience, but it’s also a call to think outside the box about our relationship with the environment and wildlife. 2. What is your favourite thing to do outside? 3. What one thing should everyone know about you? I’ve been a Detroit Red Wings fan since 1959. 4. In the spirit of TED—Ideas Worth Spreading—tell us the best advice you’ve ever received and want to share with others. You are only here once so follow your dreams and they will take you where you should go. 5. Without revealing the theme of your TEDxAlgonquinPark Talk, tell us the one thing you hope people will do after they hear you speak. Introspectively evaluate their own attitudes towards wildlife. In case you missed it on our Facebook page, here's a video of Dr. Obbard showing Rick Mercer what a day in the life of a bear researcher looks like. Give detailed info on big data? Hi I really appreciate your all efforts which is specially for the Correcting Corrections well done. The views expressed here and during the TEDxAlgonquinPark event are not representative of Algonquin Park administration. © 2011 TEDxAlgonquinPark. All Rights Reserved. This TEDx event is independently organized. Travel theme. Powered by Blogger.